People say that getting into college is the hard part and the rest is easy…well unfortunately that isn’t necessarily true. In college, you actually have to study and put in the effort. It’s initially overwhelming, but that soon changes after figuring out helpful study routines. 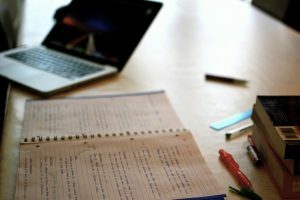 Everyone has different study methods, but simply memorizing and rereading notes will make it difficult to ace that test. College is about the concepts, not the vocab. 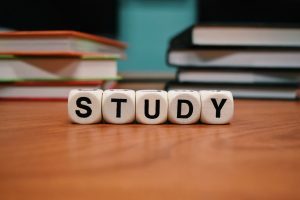 Try these study methods that get you actively retaining the information. 1. If the Professor posts the lectures online, listen to them. Sometimes professors post lecture recordings on Canvas (this is not a substitute for lecture), which serve as a great refresher for concepts you didn’t retain during class. When a midterm is around the corner, you can go back and listen to those tiny details that will most likely end up on the exam. If you can’t teach the concepts to someone else, then you don’t really know the information. Speak through your notes as if your the teacher. Thinking out loud also changes things up from simply reading notes, which can get very tiring. Studying all night is very tempting, especially when time feels so limited, but those two extra hours don’t really make a difference. You’re too tired to absorb all the information so that time is better spent getting plenty of rest! Plus, getting sleep allows your mind time to process everything you just learned.